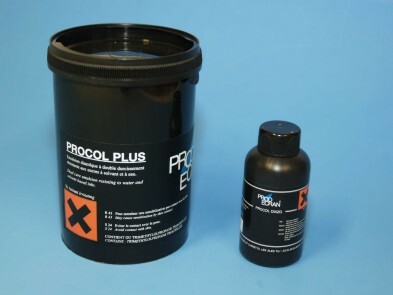 Emulsion PROCOL PLUS is universal emulsion supplied in 1 kg bottle. Resisting to all kind of inks ( water based inks, uv inks, water inks, solvent inks). It is very flexible and it resists to high pressure of the squeegee edges. Recommended for any work requiring a good resolution and a good mechanical resistance. Suitable for machine and manual screen printing. 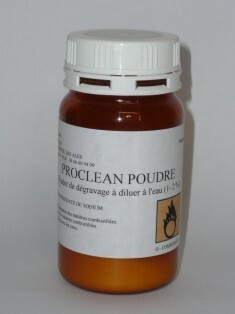 Ready to use reclaiming paste, useful for cleaning large vertical screens. Propaste haze remover - 5 kg packaging.